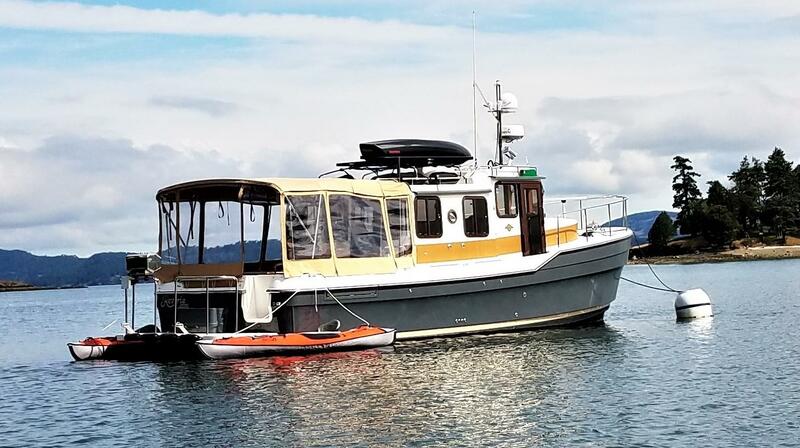 This is a beautiful and properly maintained Ranger R31-S. 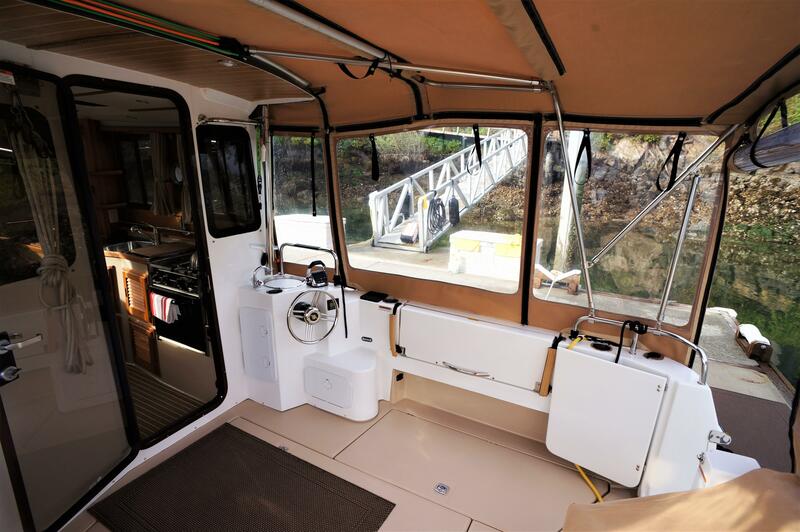 The owners have looked after every aspect of the vessel to keep it in near Bristol condition. 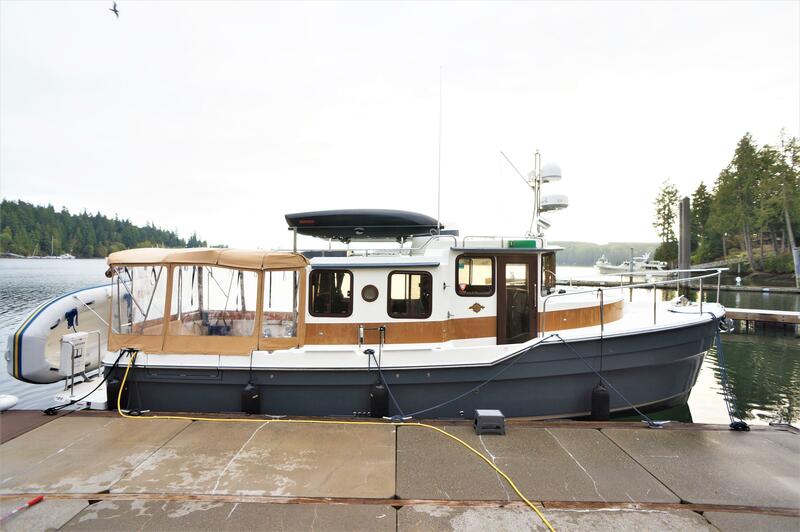 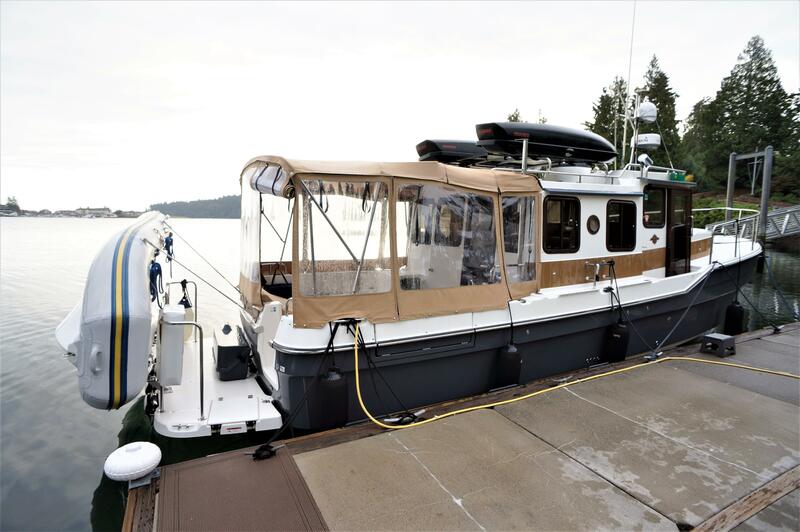 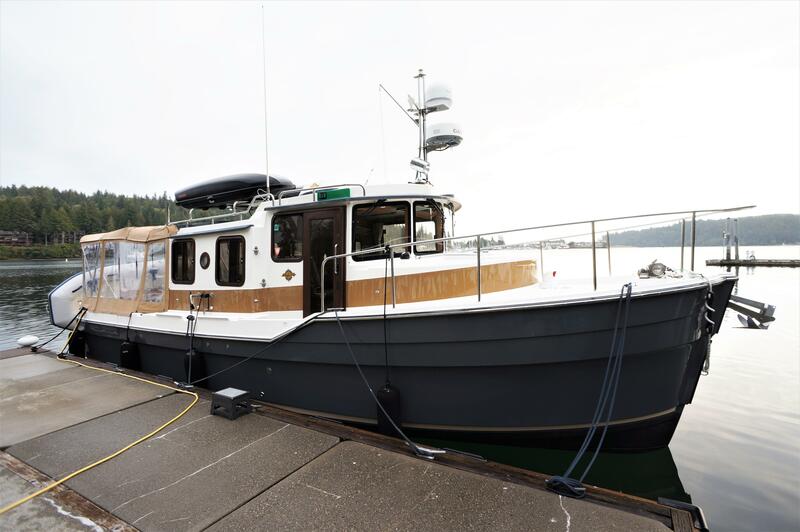 Like most Ranger R-31’s "Reverie" came from the builder virtually “Turn key”, purposefully designed and outfitted for cruising the waters of the Pacific Northwest, with standard equipment that’s usually found on much larger trawlers. 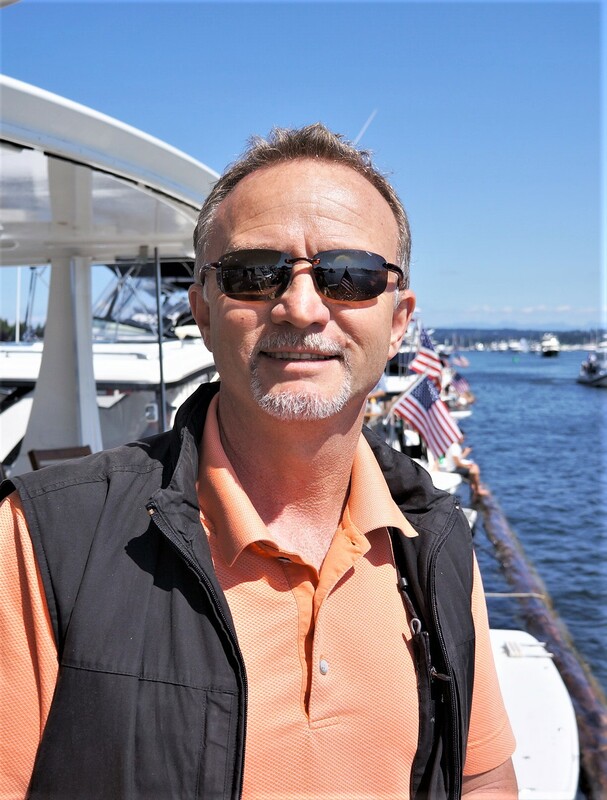 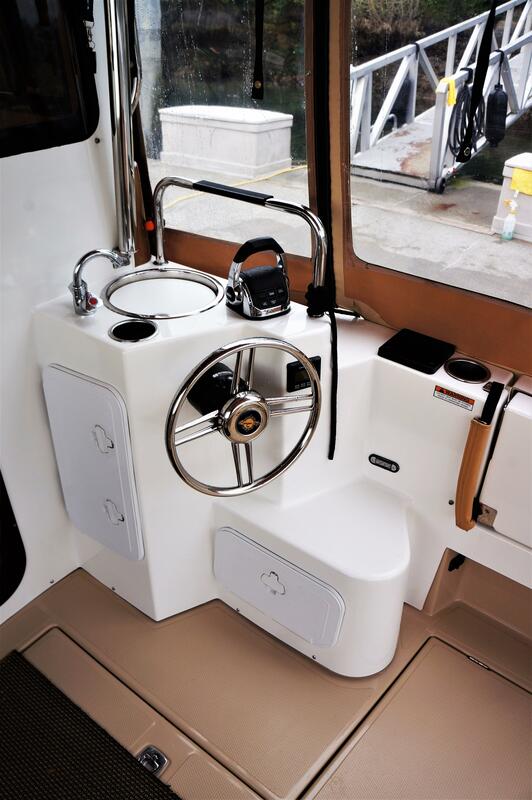 It also offers the advantage with it's 10’ beam of being trailer able, so your pilothouse trawler can transported wherever your dreams take you. 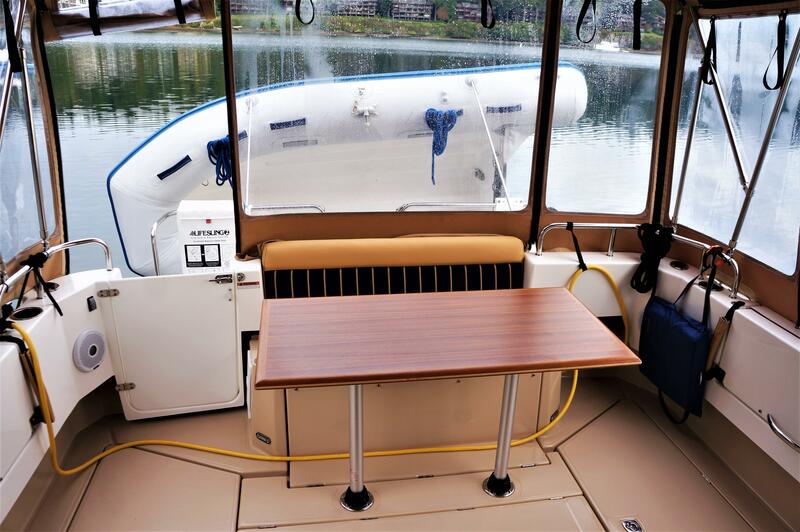 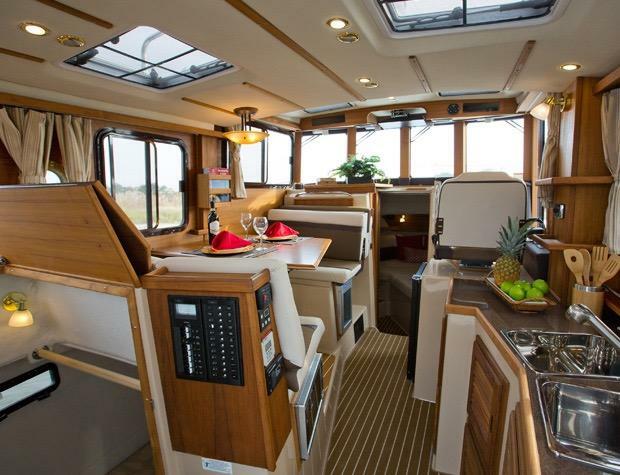 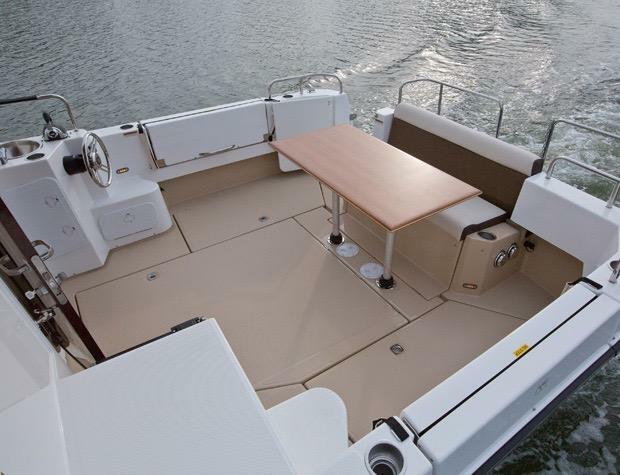 The Ranger R31S also offers some creative and innovative ideas, such as a foredeck hide-a-way settee with table and the cockpit seating that folds out of the gunwale. 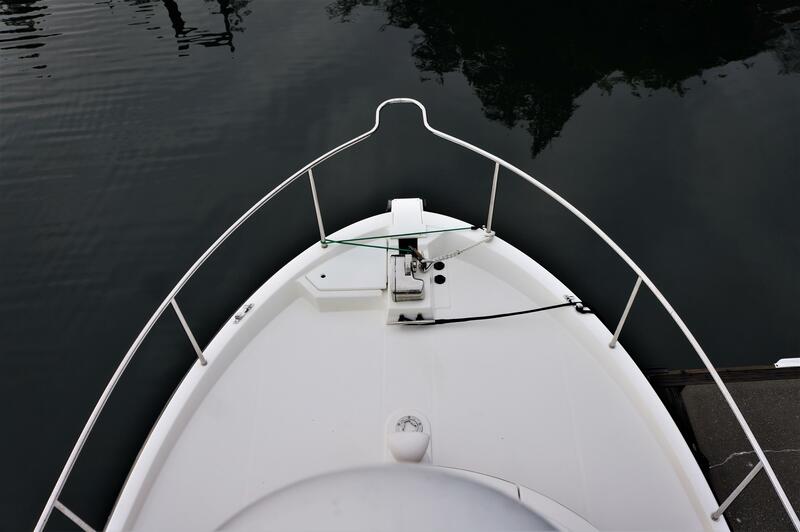 Creative and Innovative ideas can be found through the vessel. 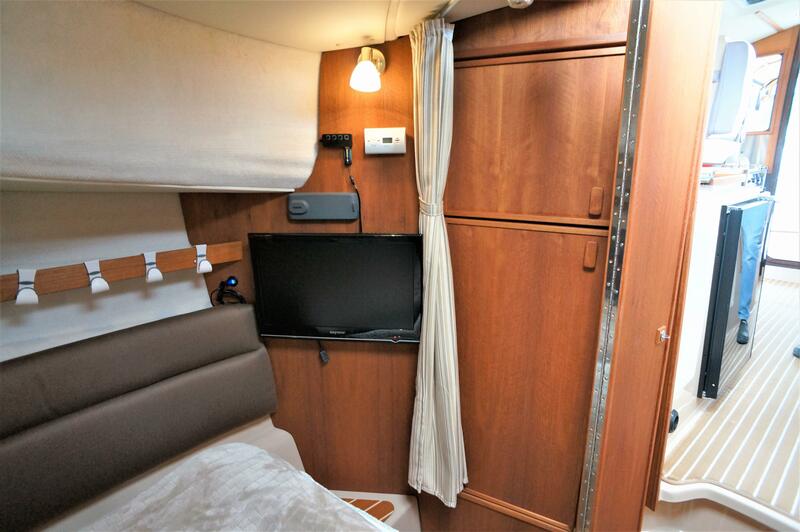 Accommodations and layout design include, a forward stateroom with a large double bed and ensuite head, an aft double berth and toilet, a open smartly designed main salon that offers plenty of seating, a fully equipped galley and a helm station with Captain & Admiral seats. 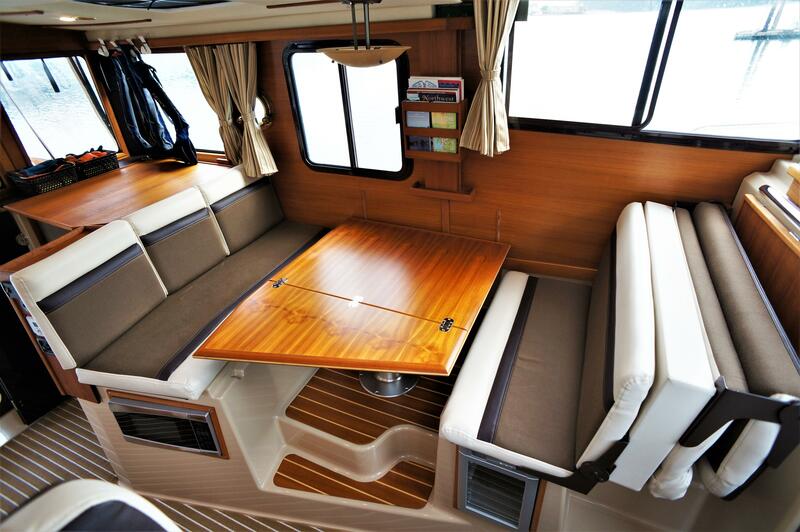 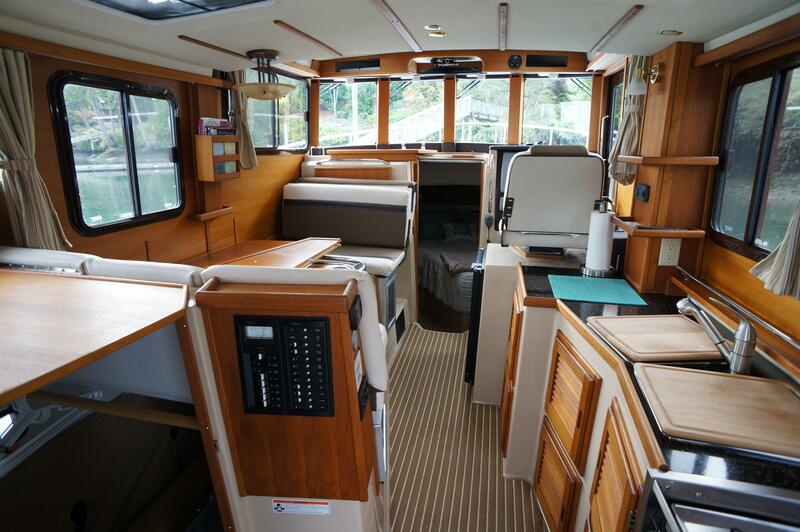 The vessels interior is wrapped in satin finished teak with teak and holly floors. 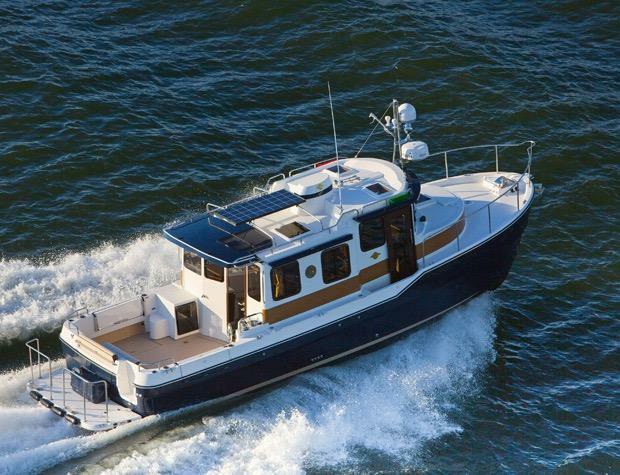 The Ranger R31S offers excellent living, cruising and comfort all designed into to a pocket trawler yacht that is easily single handed. 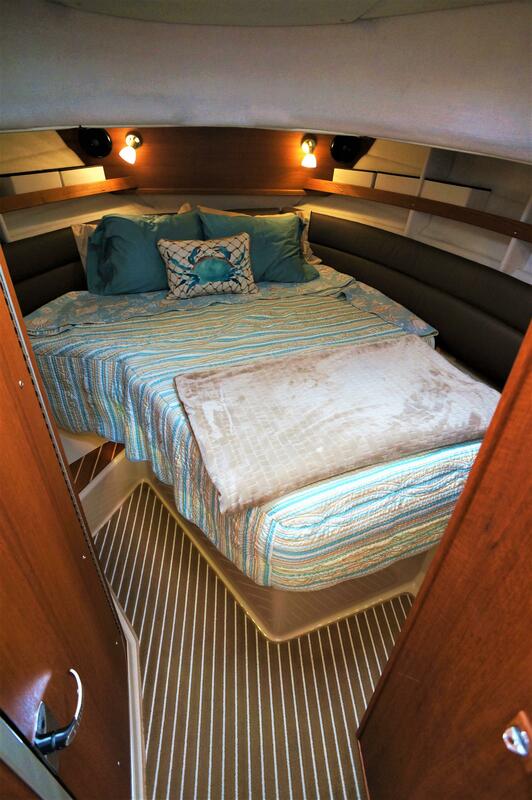 Call Seattle Yachts today to arrange a tour of "Reverie". 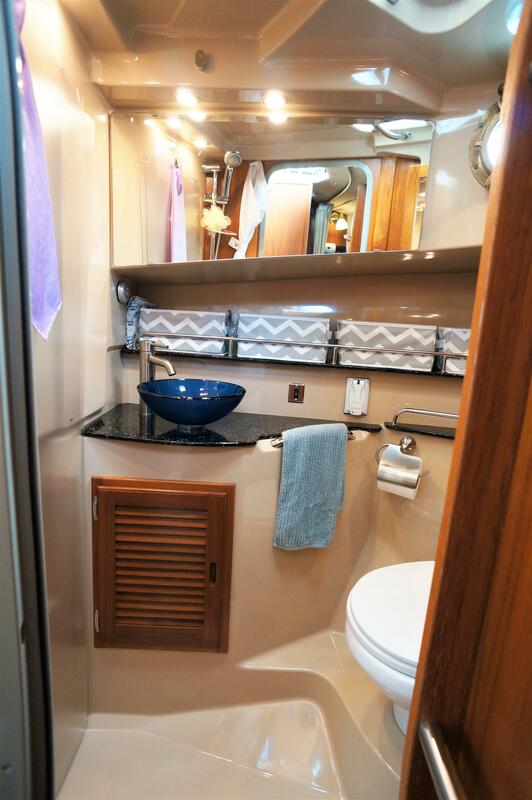 The interior layout of the "Reverie" features two staterooms - the owners stateroom is forward, featuring a large island berth forward with ensuite head and a midship guest berth, accessed from the aft port side of the salon. 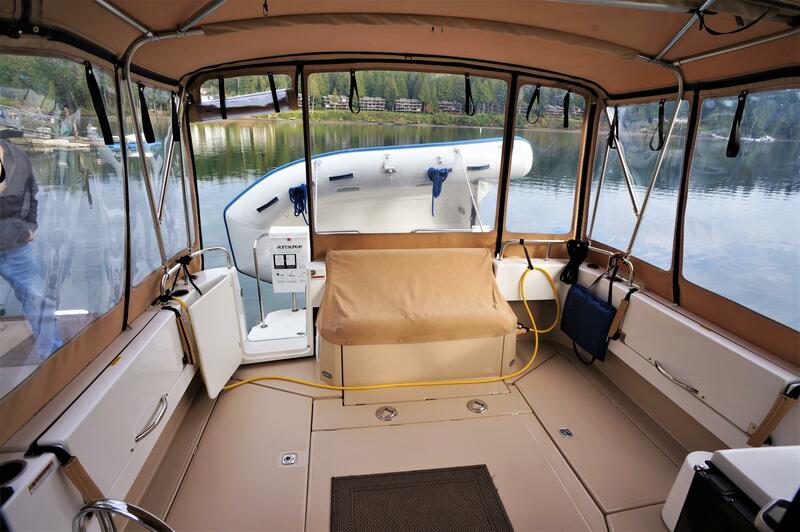 The guest cabin also offers a day head. 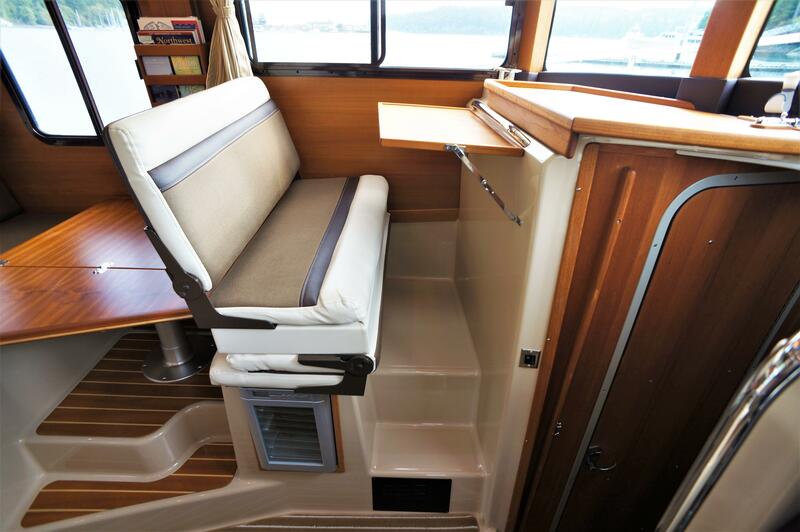 The interior walls and cabinetry is handcrafted teak in a satin finish. 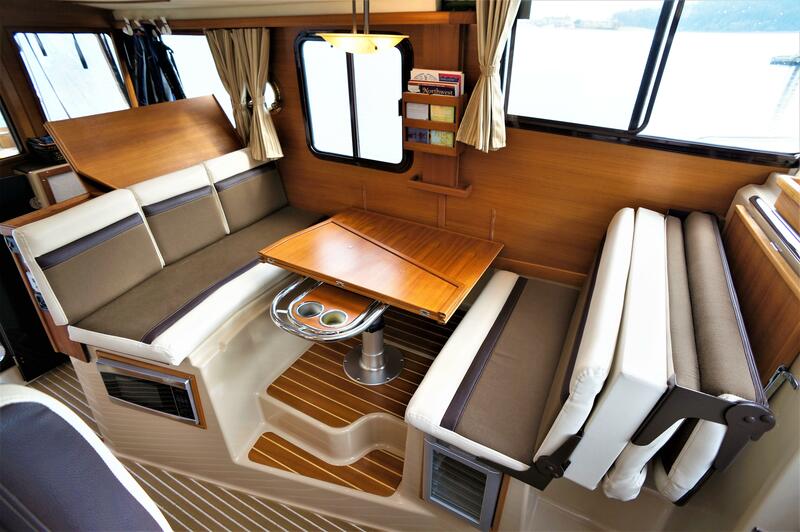 Majestic TV with DVD player. 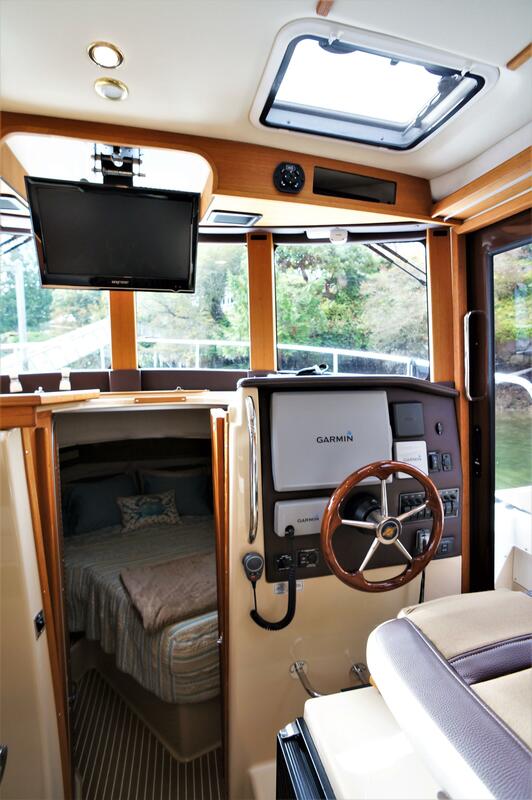 The TV is also connected to the Garmin navigation so the TV can display navigation information. 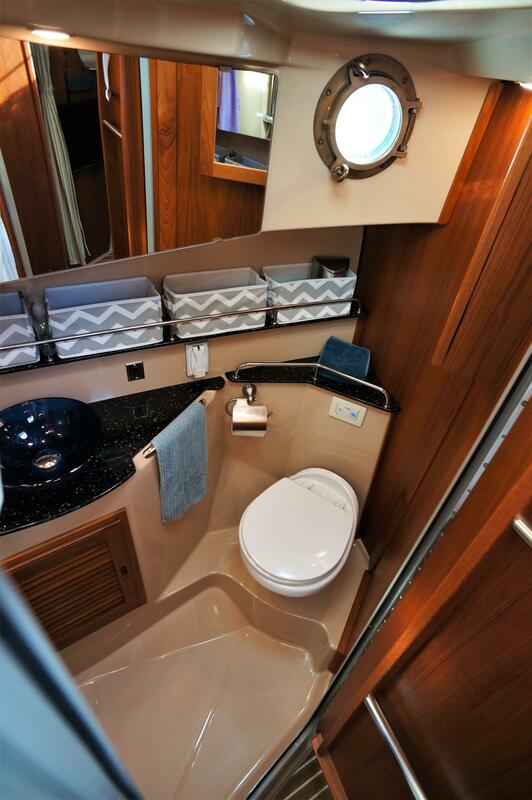 The galley runs along the starboard side of the salon and features teak cabinetry with a solid surface countertop, quality appliances with abundant drawer and cabinet storage. 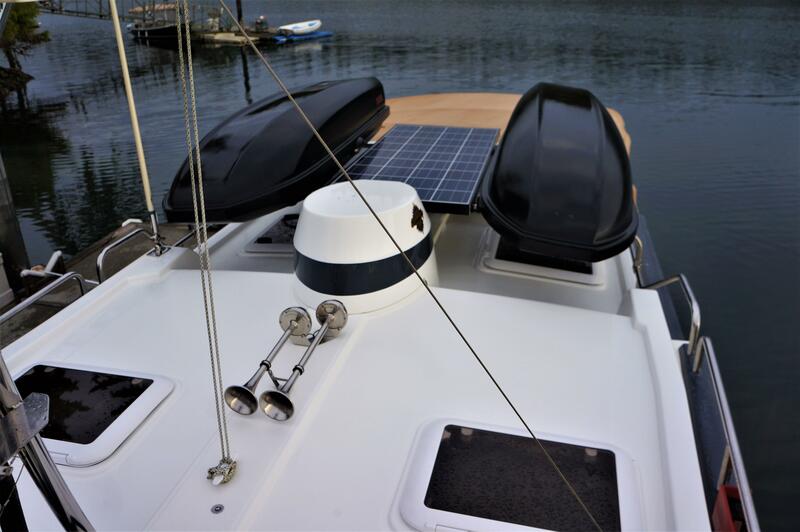 Electrical power is provided via 125V/30A shore-power and the 2500 watt ProMariner inverter/charger. 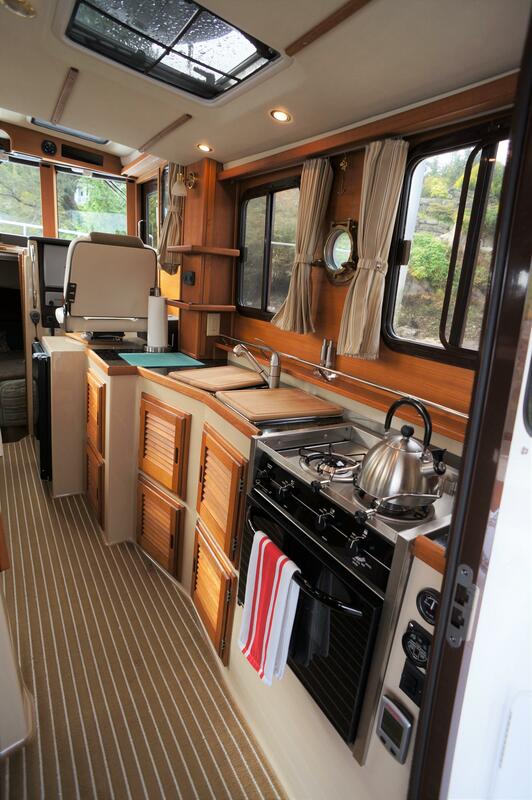 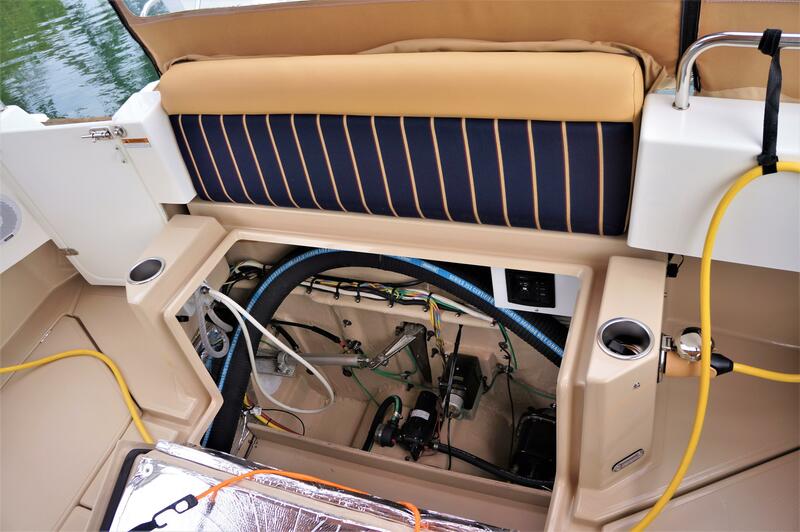 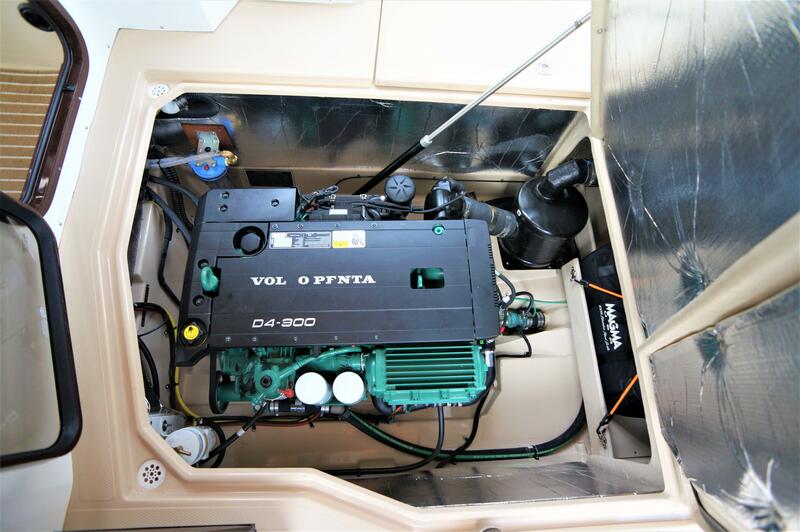 The engine compartment is spotless, the owners have kept the Volvo D4 300HP diesel engine and the bilge area clean of any debris or corrosion. 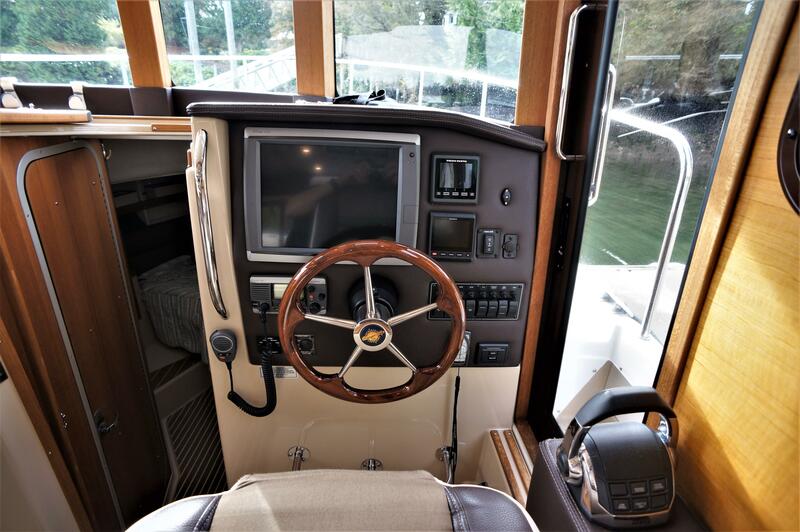 There are two helm stations on Reverie, one in the forward starboard side of the salon and one in the starboard side of the cockpit. 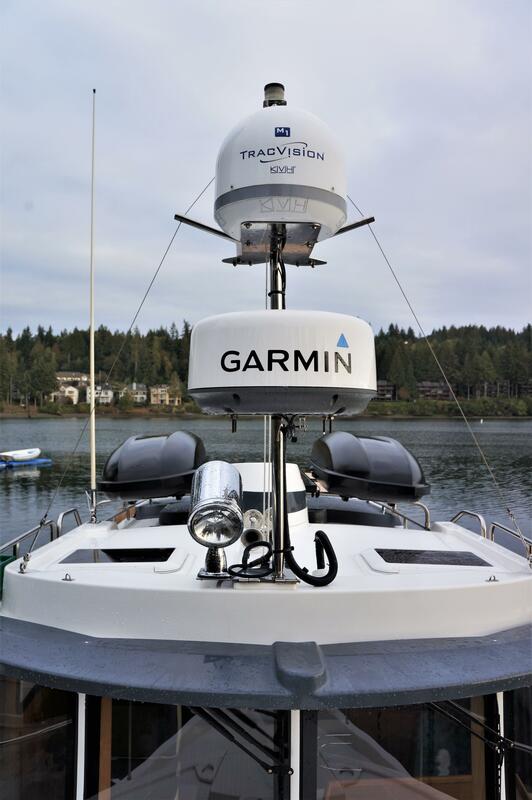 Both stations offer full controls and destroyer style helm wheels. 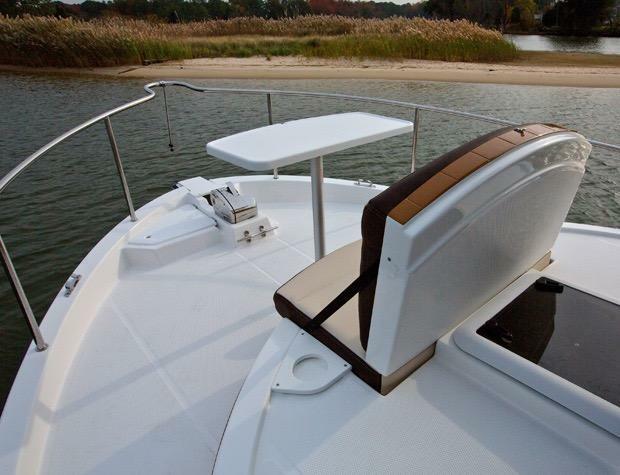 The aft station makes backing into your slip easy and great when you "have a fish-On" and you need to watch your best mate reel in the "big one". 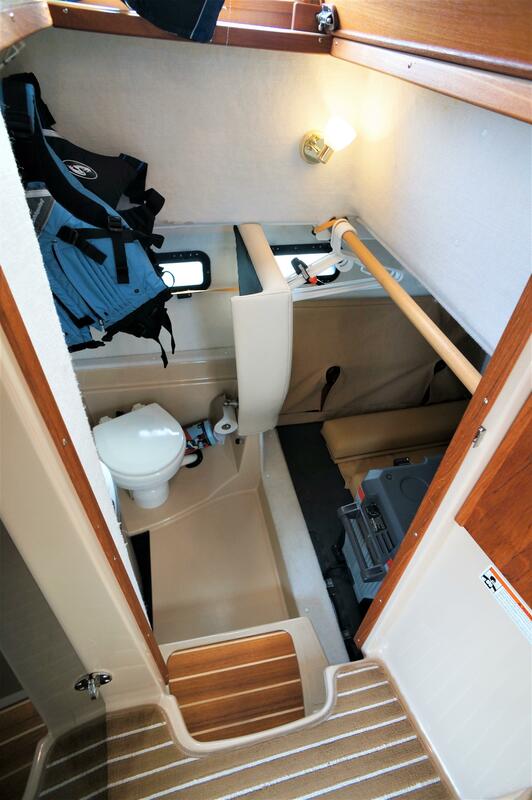 Getting on and off the R31S is easy thanks to the deep swim platform and the transom door that leads into the cockpit. 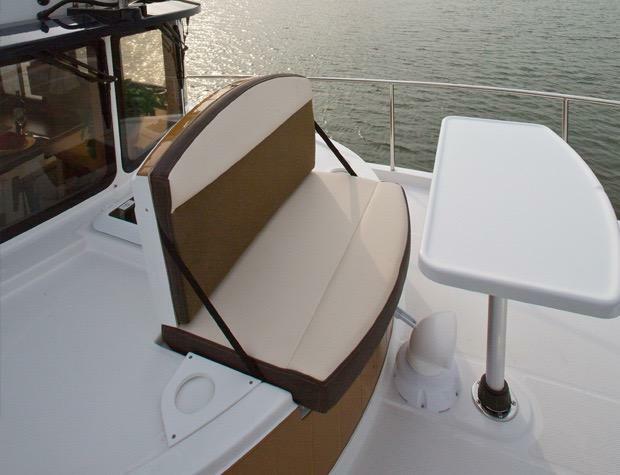 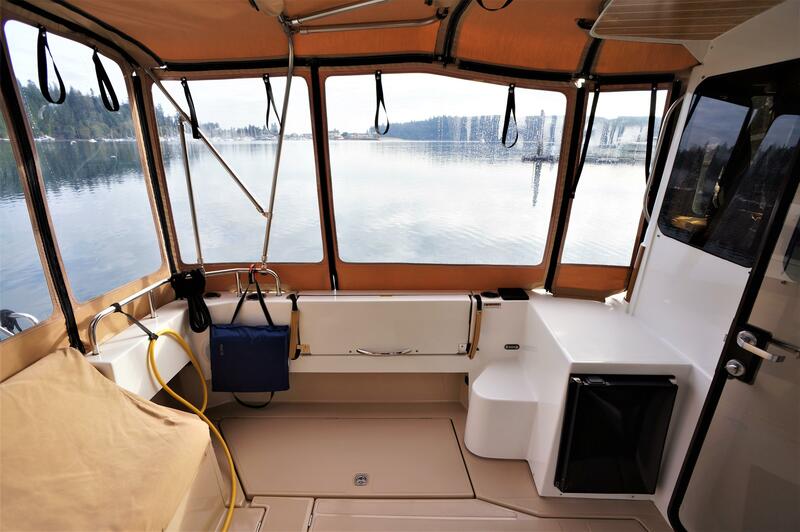 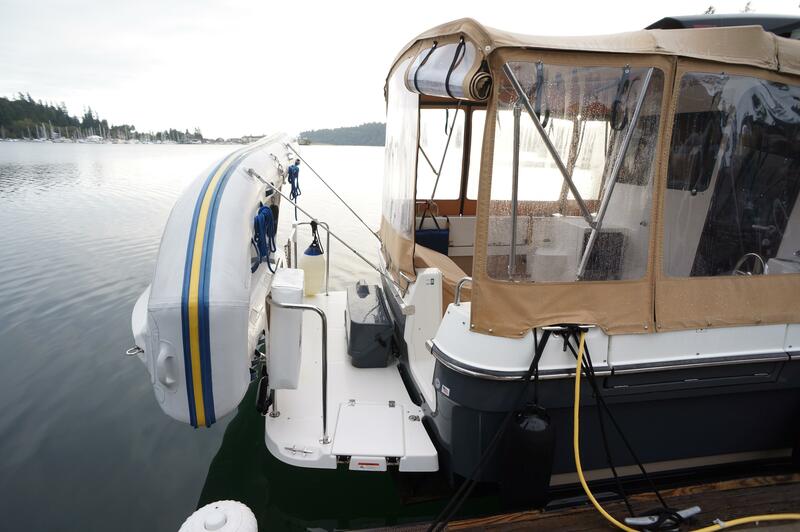 The cockpit is large and offers a canvas cover with a new enclosure, stainless steel safety railing, bench seat and a helm station. 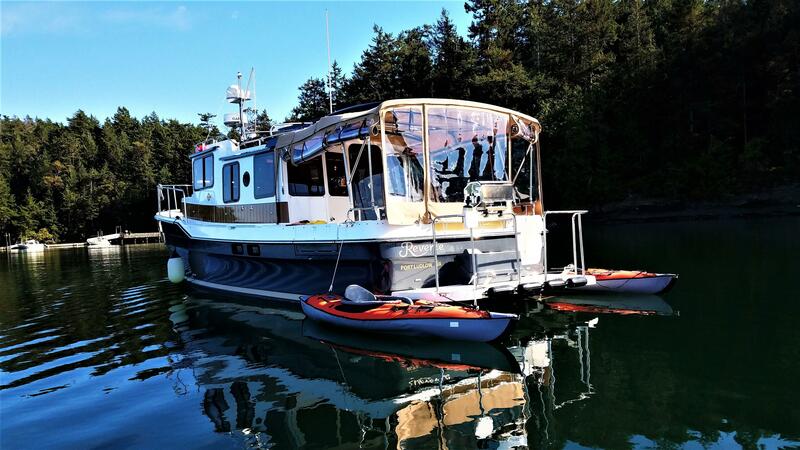 A very nice example of Ranger Tugs R31S. 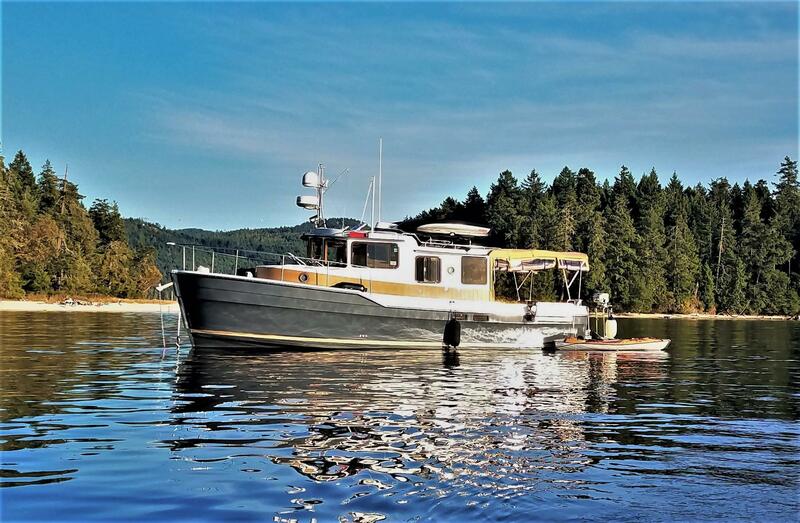 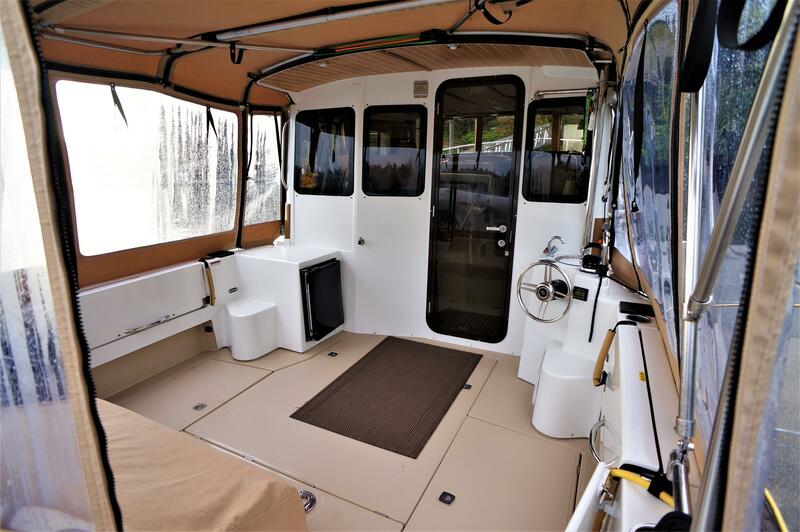 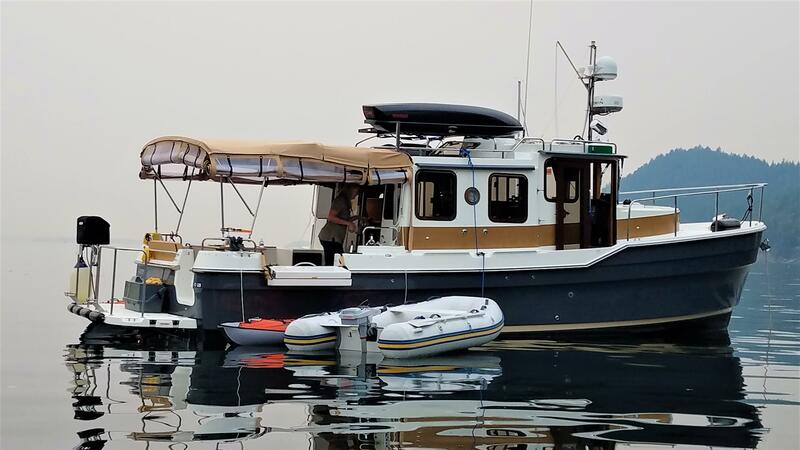 This trawler is a must see if your seriously considering the purchase of a New or Pre-owned Ranger Tug.